CarbonX UltimateTM and ActiveTM protect against common nuisance burns and serious burn injuries, providing critical time to escape dangerous situations. Many professionals perform multiple tasks—and face multiple hazards—across functions in their facilities. CarbonX Repel™ defends workers against multiple risks—big or small—in one fabric. CarbonX Aluminized Solutions enhance protection and comfort for steelworkers in high-heat environments. CarbonX Ultimate™ Underwear protected Legends race car driver Jordan O’Brien from suffering serious burns or worse at the 2017 Road Course World Finals. Bring your current hood to booth #237 at FDIC and swap it for a new CarbonX hood at no charge, while supplies last! When wearing personal protective equipment (PPE) made from CarbonX® non-flammable fabrics and apparel, professionals working in the world’s most dangerous environments can face precarious thermal hazards—like direct flame, extreme heat, molten metal, flammable liquids, certain chemicals, and arc flash—knowing they are armed with the highest level of protection in the industry. Get your copy of the new CarbonX eBook, which provides a comprehensive overview of the most protective materials on the market. Individuals working in industrial environments today know that there’s no room for error. One mistake and the consequences could be catastrophic within seconds. 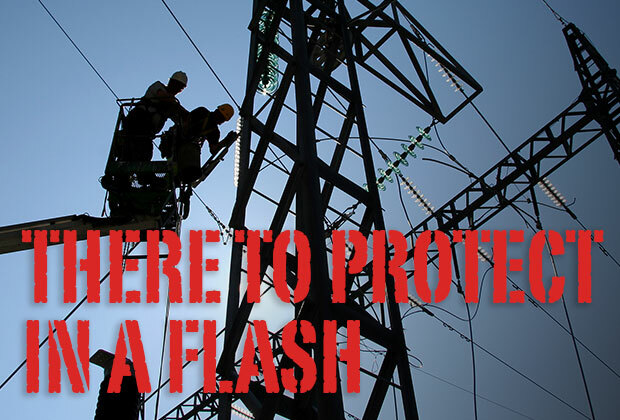 In working conditions where molten splash, fire, and arc flash are ever-present threats, professionals need flame-resistant gear that’s able to withstand the worst case scenarios. With temperatures ranging from 1300°F to 6000°F, one small drop of molten metal splash on the skin could result in a serious injury. Professionals routinely working with these dangerous substances need a protective solution that can remarkably shed sparks, spill, and spatter while also standing up to extreme heat and direct flame. From structural to wildland fire environments, the unpredictable and relentless nature of fire makes it imperative that a firefighter’s protective clothing and equipment can handle even the most severe situations. These brave men and women put their lives on the line as they run toward danger, not away from it, for the benefit and protection of others. With speeds exceeding 200 mph and internal vehicle temperatures above 120°F, racing requires peak intensity, total focus, and top performance. Whether in the driver's seat or the pit, professionals don’t have a second to spare to worry about the level of protection offered by their protective clothing and gear. TexTech Industries has launched a new product line, CarbonX® Arc, designed specifically for NFPA 70E compliance and protection against arc flash hazards. Lightweight (5.0 oz) and comfortable—and with CarbonX-level protective properties—CarbonX Arc easily meets ASTM F1506 requirements.